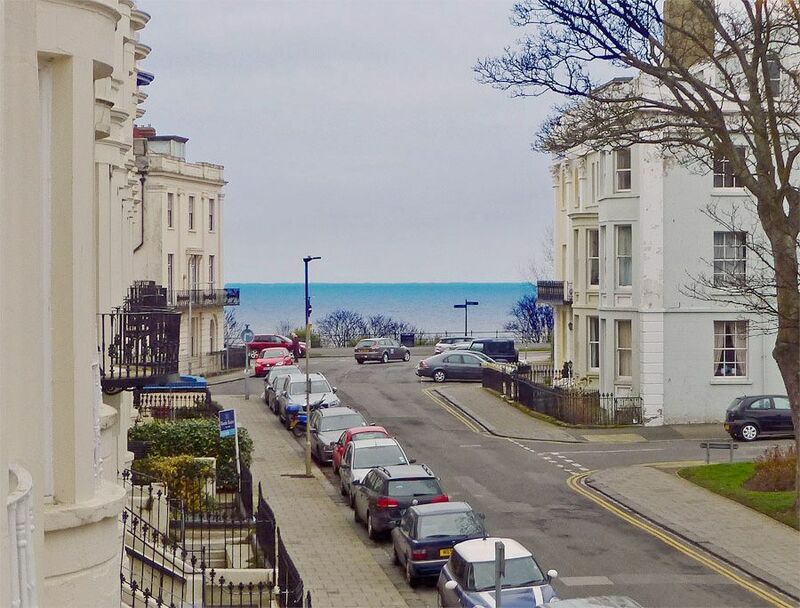 2 Double Bedroom sea-view flat on South cliff Scarborough. Small dog welcome free-of-charge. March 2019. 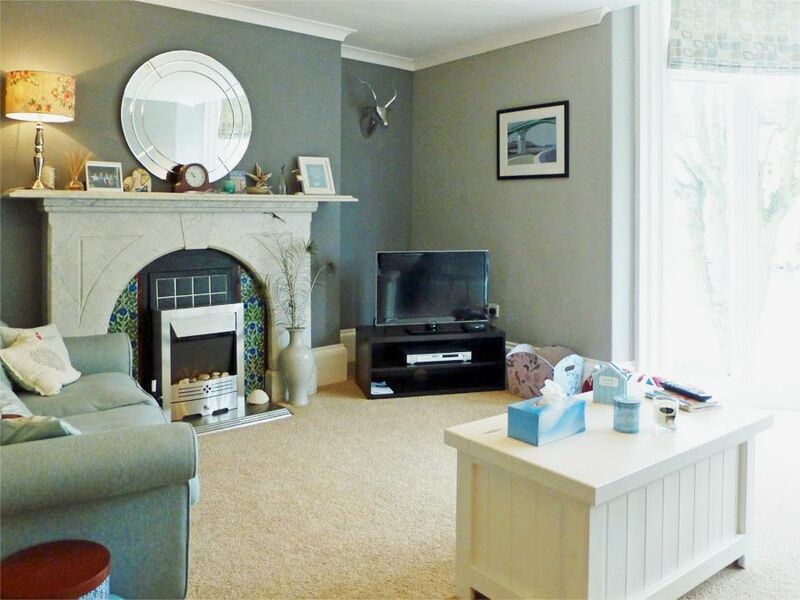 A Beautiful flat centrally located to all amenities. Review - We always enjoy staying here and feel it's like home from home. The bonus being our little dog, Billy, is welcome as well. Carol and Stuart, the owners, are great to liaise with regarding parking permits, keys and any other queries we may have. 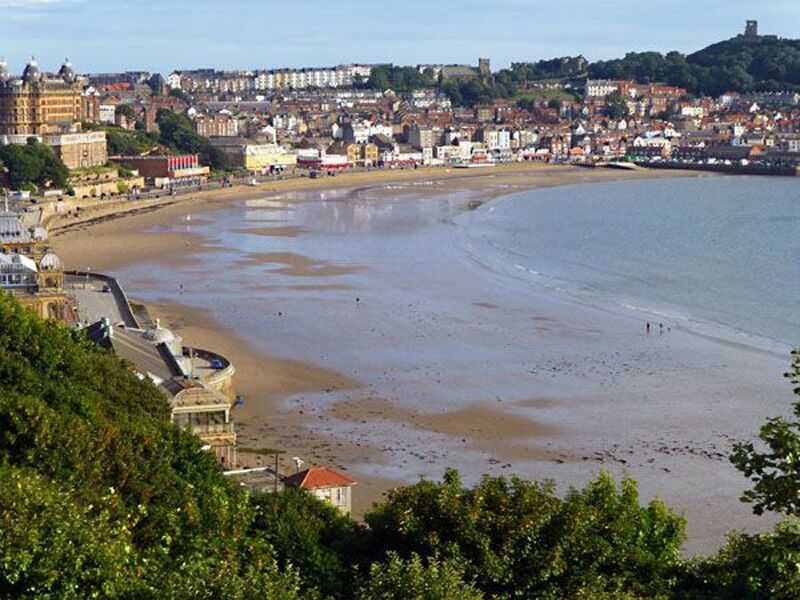 We would never consider staying anywhere else in Scarborough. EASTER MONDAY- 4 NIGHTS - £281 for 4 guests. 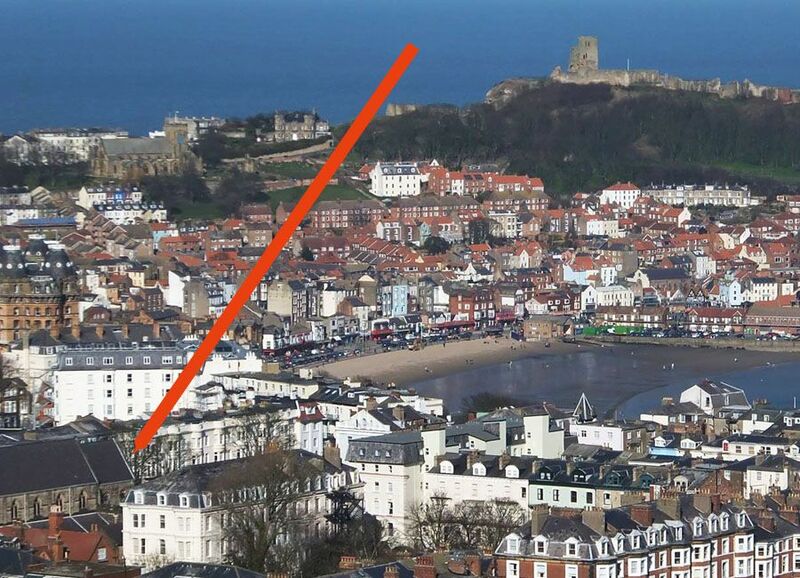 Beautiful 2-bedroom South Cliff flat perfect for 1 or 2 couples visiting Scarborough. 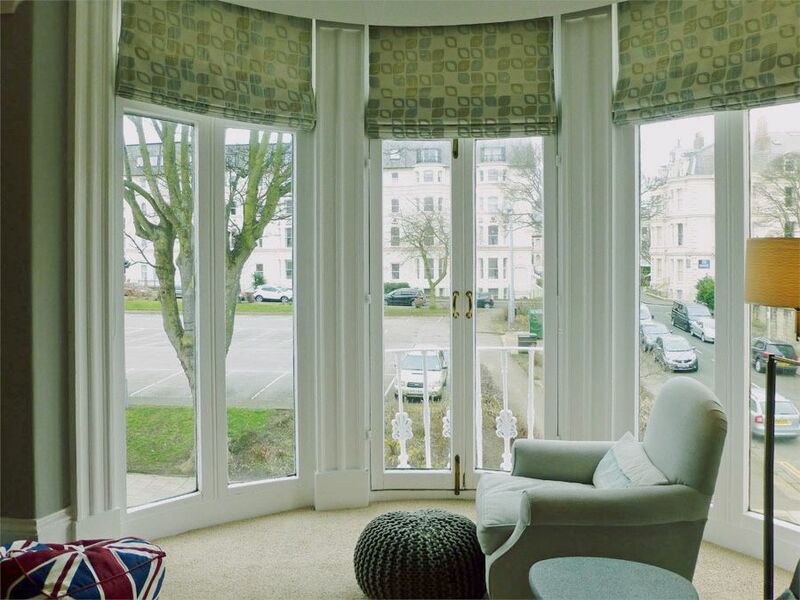 You'll find the apartment on the 1st floor of a handsome Victorian building. 4 short flights of stairs take you to the flat door. The flat has its own entrance hallway which opens to all rooms. Useful storage cupboards are provided in the hallway. 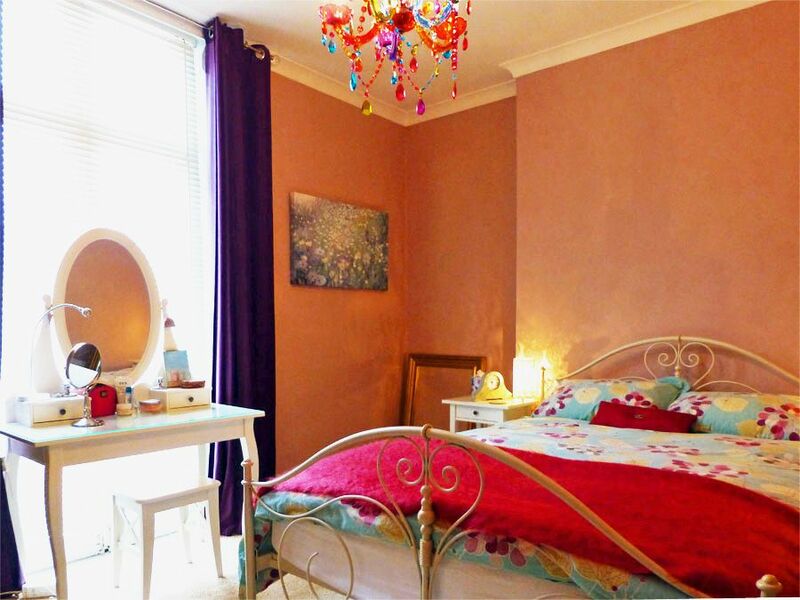 Each room is presented to a high standard with quality furniture, fixtures and fittings. 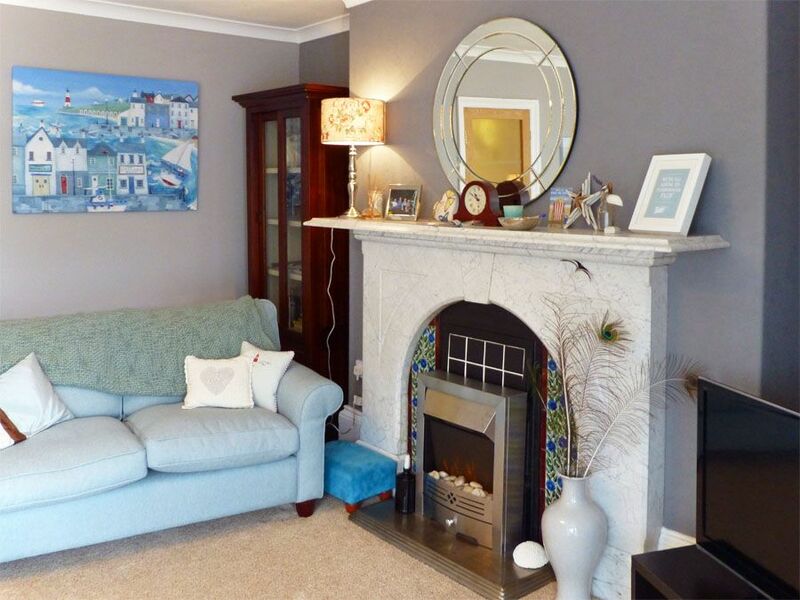 Relax in the lounge where you have 2 sofas, easy chair, feature fireplace with electric fire, TV, DVD, coffee table and occasional tables and plenty of reading and mood lighting. Guests appreciate the glorious full-height bow window bringing southern light into the lounge from morning to evening. The central sections of the bow window open allowing the sea breeze to drift in. 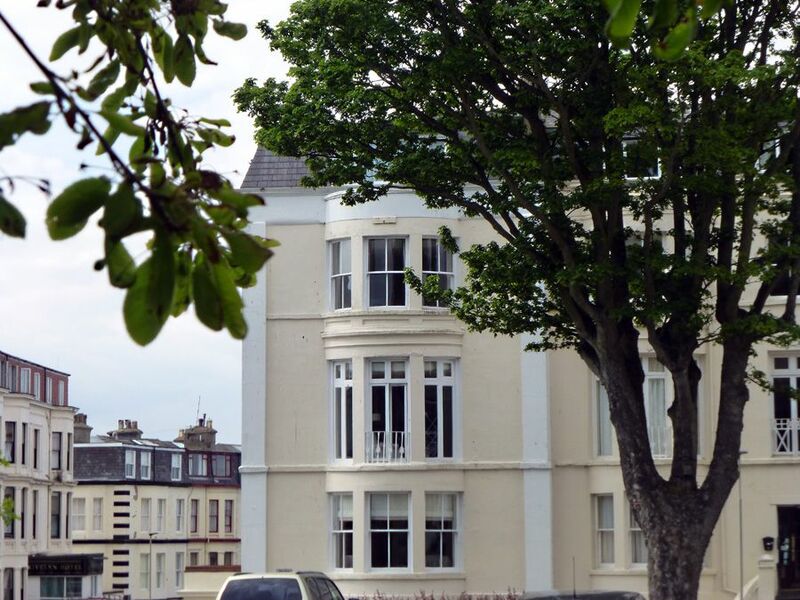 Watch the world go by from this wonderful vantage point, and take in views of the sea to the east, the surrounding grand 19thC architecture. 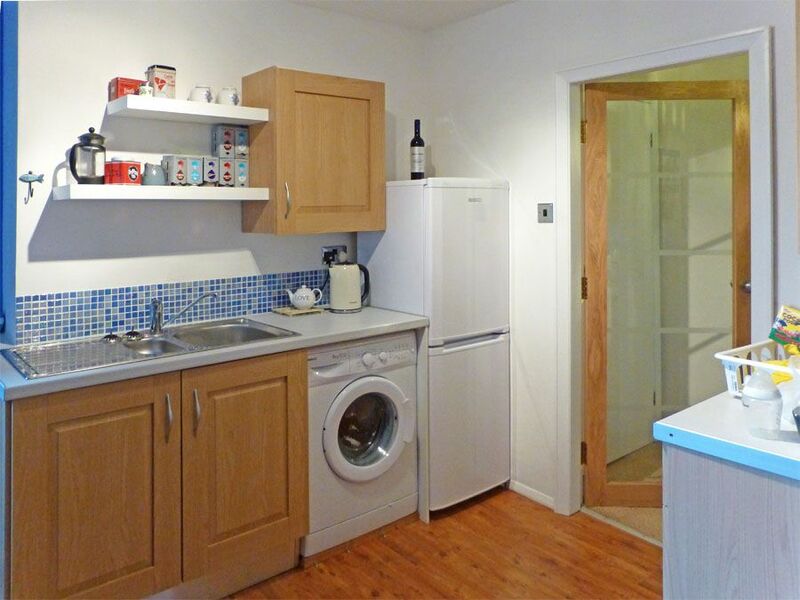 The kitchen is stylish, modern and fully equipped with all you would expect at this standard including a washer, oven, hob, extractor, fridge freezer. This room opens onto the rear fire-escape. You have a dining table and 4 chairs. 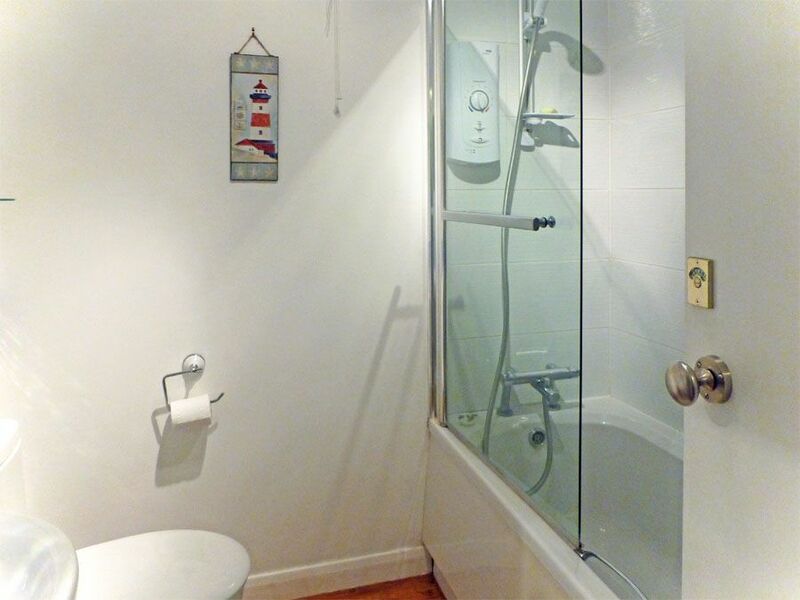 There's plenty of storage in the bathroom and a sparkling white suite of WC, basin and bath with electric power shower and glass shower screen. The property owners have put much thought into presenting the bedrooms. 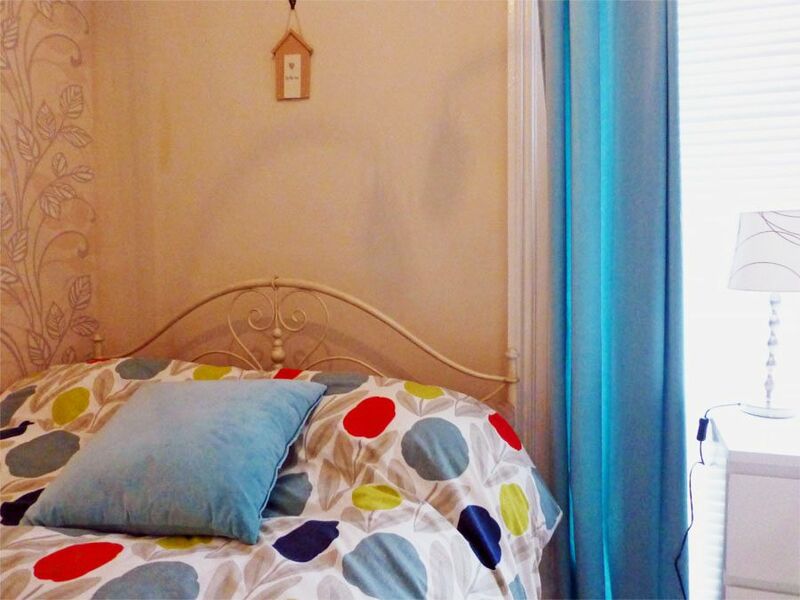 Both are double rooms with the first being larger and having a king-size bed. There are drawers and some hanging space in each bedroom and more storage is to be found in the tall cupboards in the hallway. Utilities, bed linen, bath, hand and tea towels (you only need to bring your own beach towels if you are planning a day at the pool or beach). A removable guard-rail is thoughtfully provided for the full-height lounge window. Child's booster seat. Cot (please supply your own linen). One small - medium dog welcome at no extra charge. On-street with parking scratch cards provided free for 1 vehicle. Please let us know at the time of booking or soon after if permits are required for a second vehicle as these may be provided at the property owners' discretion (but see above). 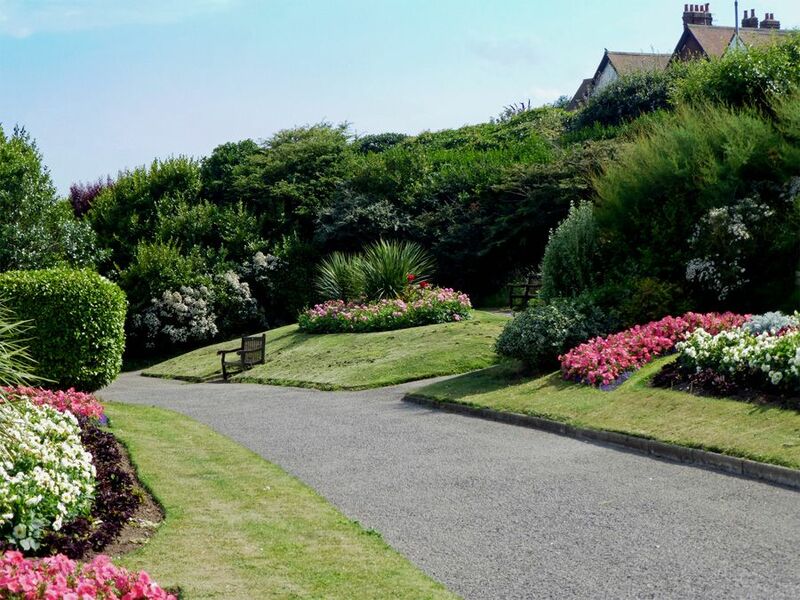 Situated in the lovely South Cliff area of Scarborough. Just across the footbridge from Town. 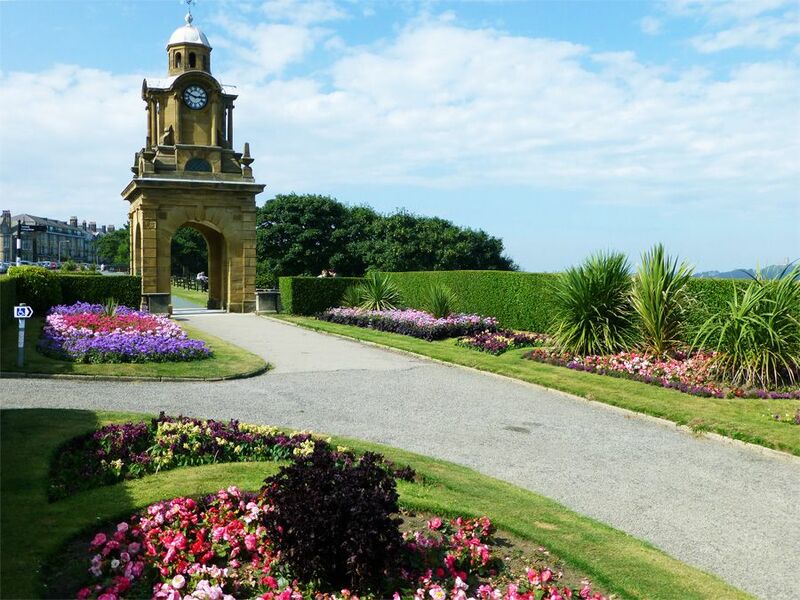 The Esplanade is only a short stroll away and gives access to South Cliff Gardens. 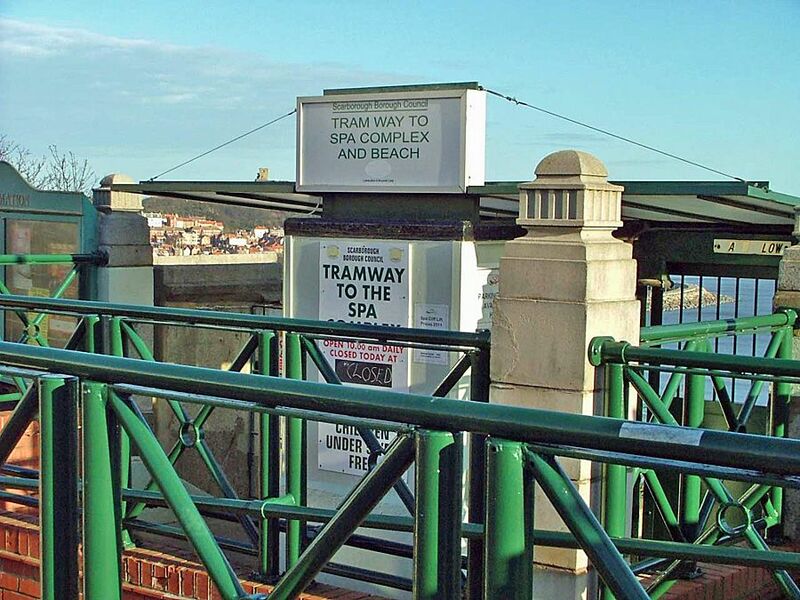 Follow the Garden pathways or catch the Cliff Lift down to the Spa Theatre and South Bay. 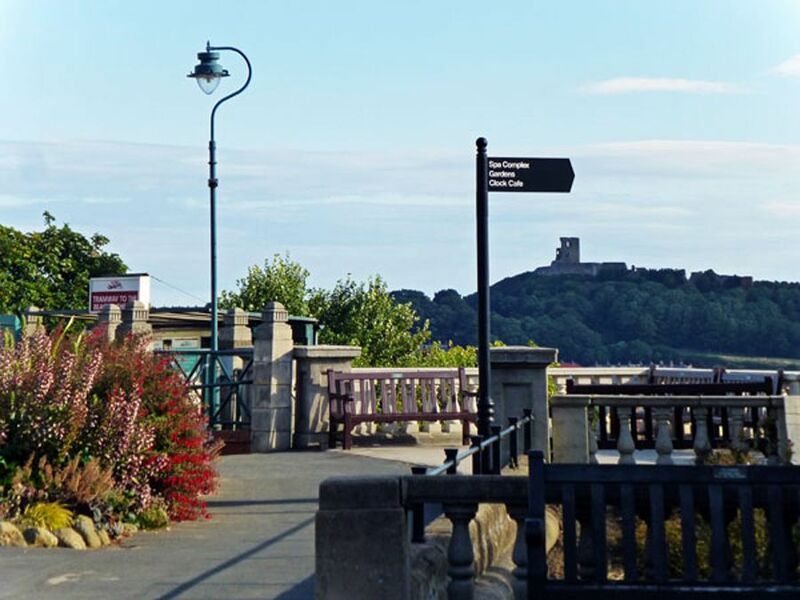 It's only a 10 minute stroll to The Spa Footbridge which spans the valley between South Cliff and the Town Centre. Handy for cafes, restaurants and take-aways at Ramshill, and for the Crown, Highlander and Ambassador Hotel bars on the Esplanade. Your dog is welcome but must never be left alone or on furniture. All evidence of your pet's occupation to be removed on departure. Exceptional comfort and value. I would say that this holiday apartment was definitely was like a home for home. It is by far definitely the best we have stayed in. The furnishings were a very high quality. The cleanliness was exceptional and the cleaner should be congratulated on her high quality work. We were most impressed and we will be back to Bedwyn's Elizabethan Court. Kind Regards Ann & John. 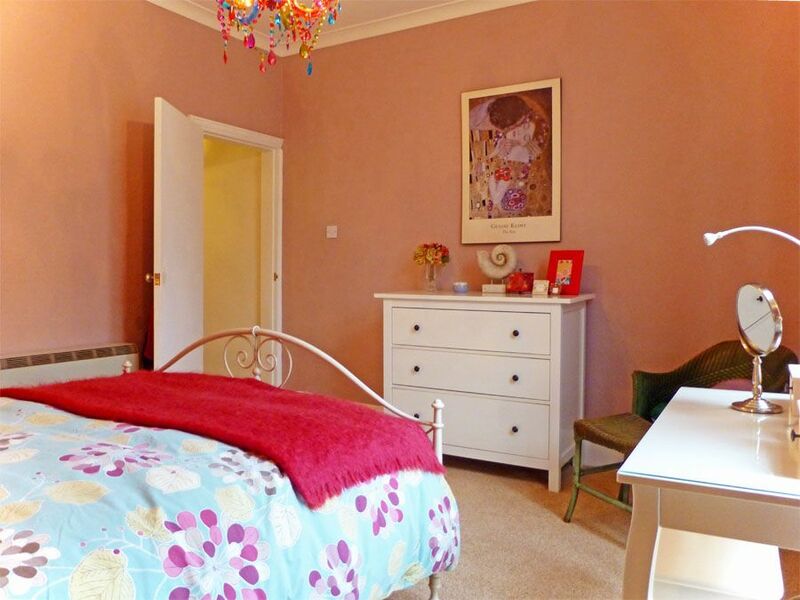 Elizabeth Court, Albion Road booked through Bedwyn's. This was an excellent apartment, I stayed with my mother and her small dog. I cannot praise the condition of the apartment enough. It was spotless, everything you could need is there including a wide selection of novels and dvds. We were impressed by everything. 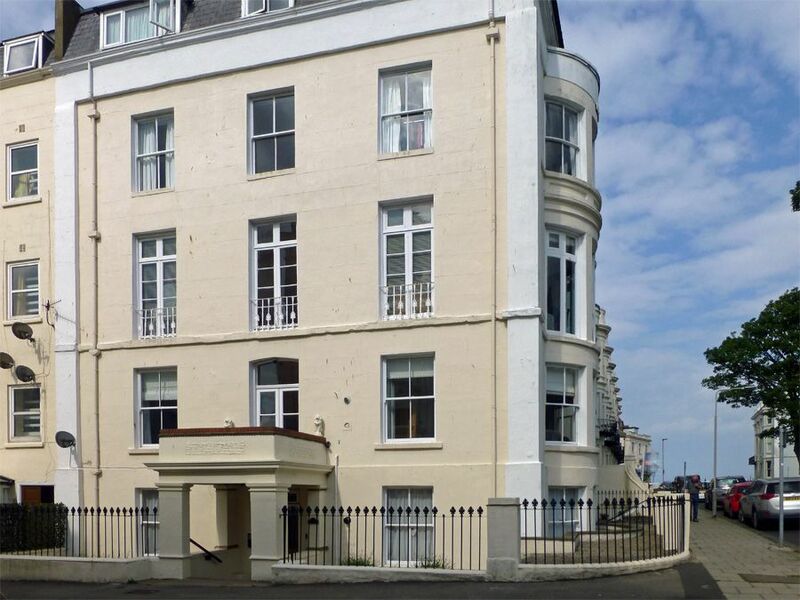 The location is ideal and we used to get the Cliff Lift to the seafront or walk as it is within a short walking distance to both the shopping centre and seafront. There are also shops just across the road, such as, Cost Cutters and Sainsbury as well as a small WH Smith and Post Office. 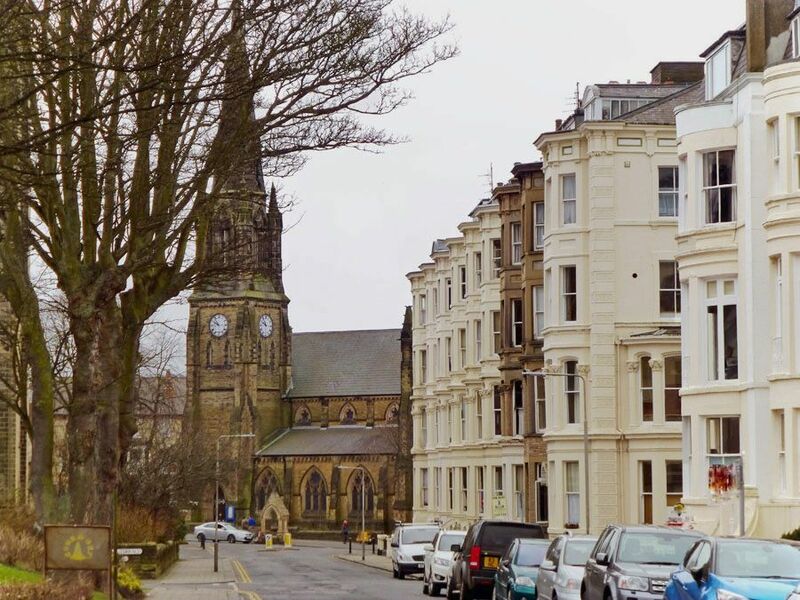 Scarborough is also dog friendly, and we found quite a few places to eat that allow dogs inside including the Castle coffee shop and a vegetarian restaurant called Calf Cafe which do meals, snacks and delicious chocolate fudge cake, well worth a visit. We have both spoken to the owners on the telephone and met them at the apartment and they are both friendly, helpful. I have already recommended this apartment to my friends and family and we are planning to go back again ourselves next year. I can honestly say it is the best apartment I have ever stayed it and would highly recommend it to anyone. Everything you needed, bedding, towels, crockery etc. and more. Lovely furniture, very clean. 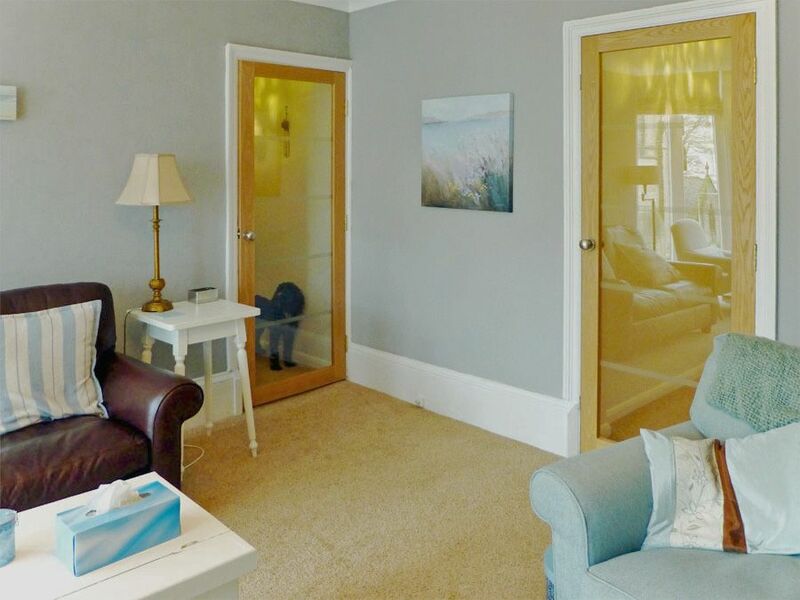 Spacious rooms, ideal location, close to all amenities and shops and walks (especially for dog). Found no faults, very quiet although in busy area. Visited Scarborough for many years, this is the best flat we have found, hope to return soon. 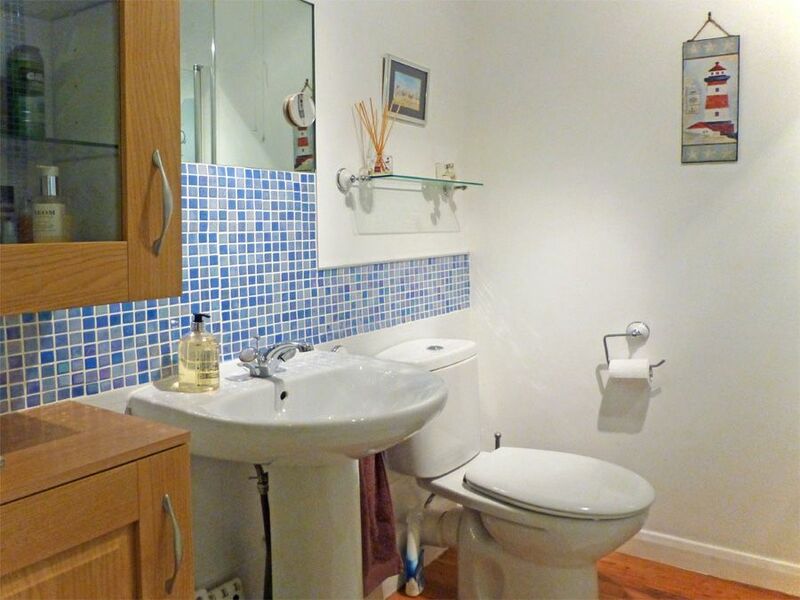 Lovely clean modern apartment in a great location. Booked through Bedwyns. Excellent value for money. One of best places we've stayed in Scarborough. We will book here again when we next visit Scarborough. We thoroughly enjoyed staying at the flat. 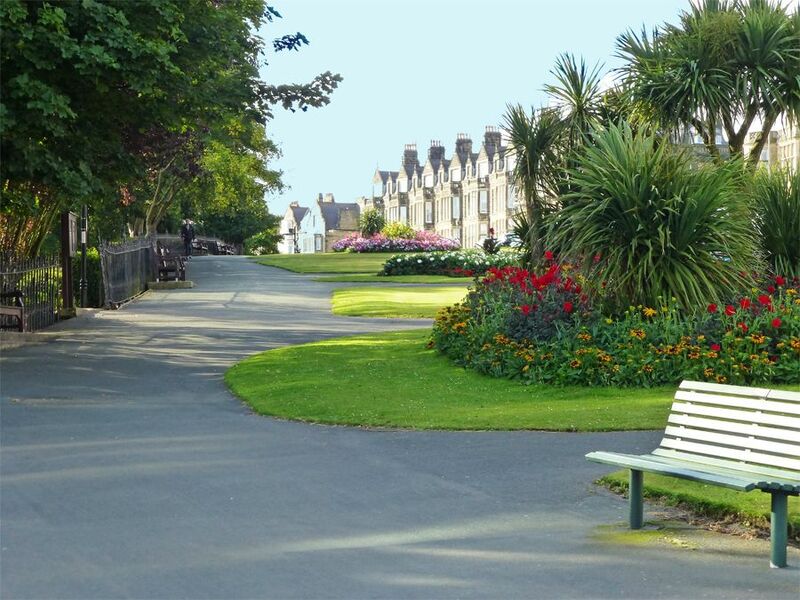 The location was great for us as we enjoy walking and it was a short walk into the centre and a short walk to the beach area. We were very comfortable and the flat had all the facilities and kitchen equipment we needed. The keys arrived a couple of days before we left with a nice little note from Carol, hoping we would enjoy our stay. 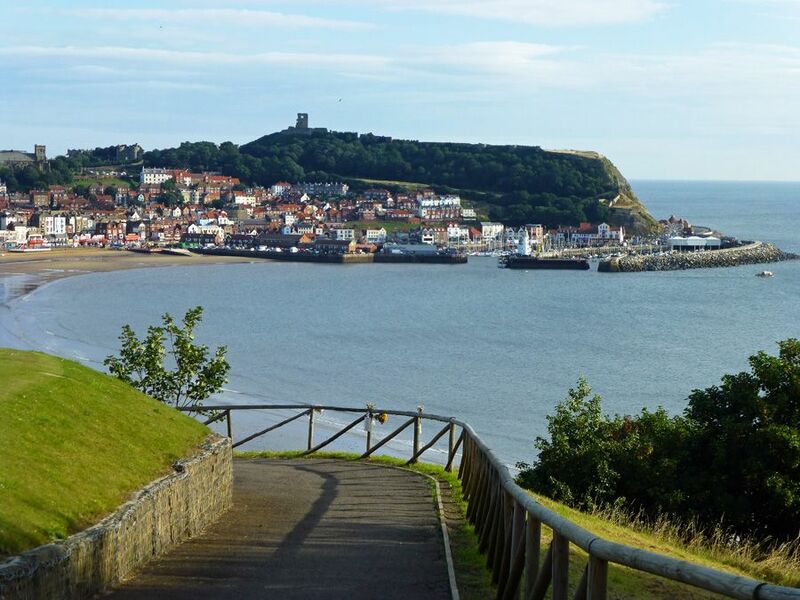 We will definitely be trying to stay there next time we are planning to go to Scarborough. Thank Stuart and Carol for us, please. Our stay at Elizabethan Court was really great. The whole place is obviously lovingly cared for and all the little extra touches make all the difference to a self catering holiday. We could not fault the accommodation and would recommend to any friends and family. 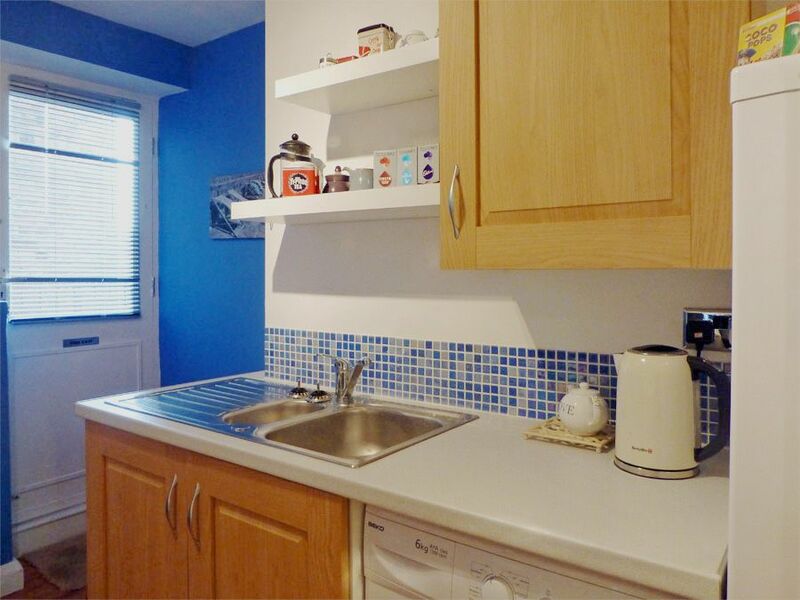 Good sized flat in an excellent location! This flat is lovely. It's a good size and everything is very clean and comfortable. The location is excellent, just over the bridge from the station which meant we didn't need a taxi. At the top of the road is the esplanade overlooking the south bay and at the bottom of the road are the shops at Ramshill. There is a pub in the building next door but there was no noise to disturb us. 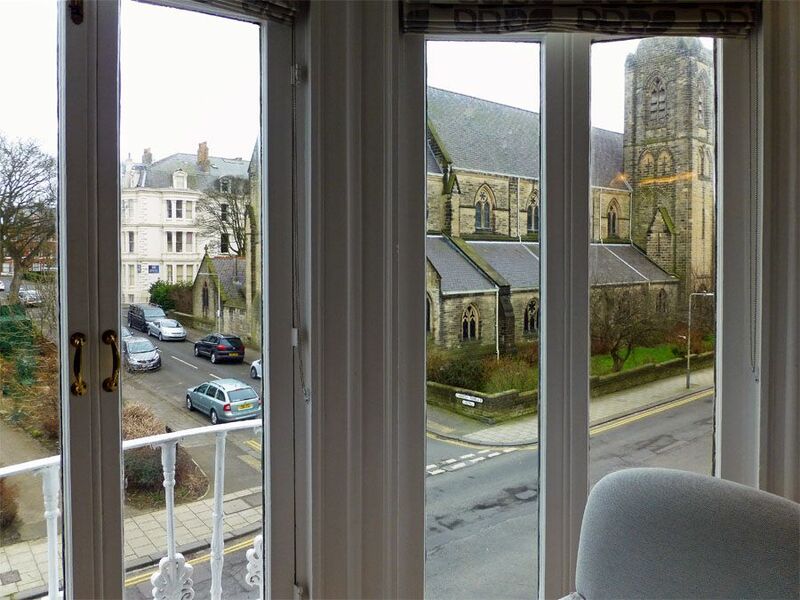 This is one of the nicest flats we've seen in Scarborough and we've been coming for nearly 30 years. Brilliant flat to stay in. Always a pleasure to come back to this lovely flat. Great living areas, great view. Ideal location. Can't wait to go back yet again. Another fantastic stay here. 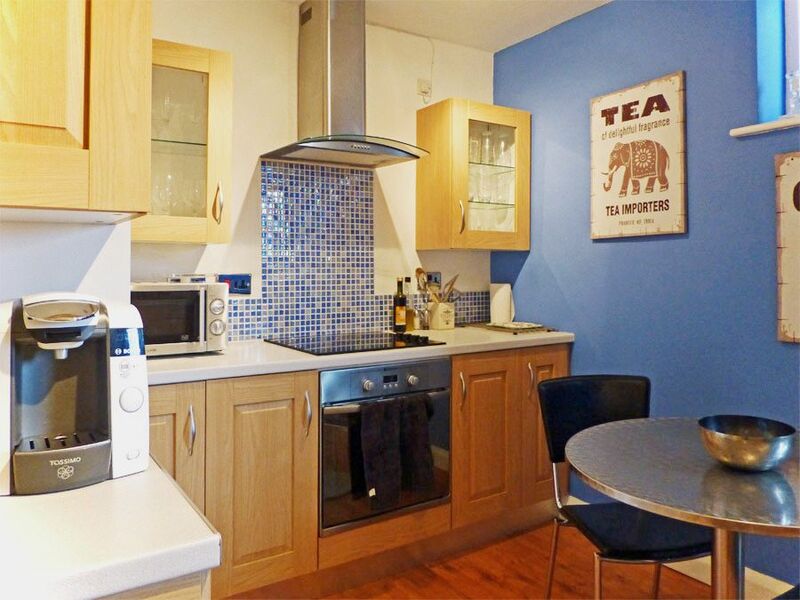 Such a great flat and very well located for all amenities. Back again in November. Such a comfy well equipped flat with a lovely view. Such a good location for all amenities. We love it here. Couldn’t fault it........If you’re looking for home from home at a high standard this is it. Most recommendable to anyone looking for a self catering break. Always a pleasure to stay here. How many times have we reviewed this flat? 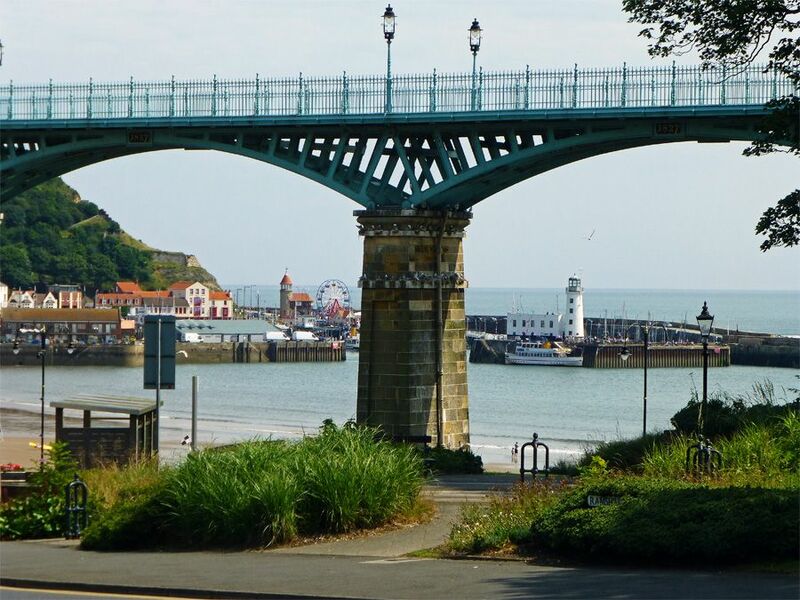 It is always a pleasure to stay here: we enjoy everything about it and would certainly not look for anywhere else in Scarborough to stay. Back again in October and can't wait. Our little dog who spends most of his time enjoying the view from the floor to ceiling bay window. We absolutely loved our stay, apartment was far bigger than we expected, and so close to amenities. Excellent value for money, by the end of our week we were wishing we’d booked a 2nd week! Our 16 month old grandson loved the huge bay window, watching everything go by. Excellent communication with Bedwyns and owners too. Highly recommended. Great holiday with a great place to stay I had booked this place for my sister and her partner and there dog they loved it they found the place easy to get to parking was ok most of the time they could park on the street with the permit and take long walks in the Italian gardens and easy access to the beach shops were just around the corner would totally recommended this place and Bedwyns I think they are one of the best for holiday lets in Scarborough..
Another fantastic stay.....Had another great week in this lovely flat: good location, a super flat with everything (other than Wi Fi) that you need. Always feels like home from home here. We will be back.